How To Add Floating Social Sharing Button On Blogger Full Tutorial With Pictures in Hindi : Kisi bhi blog par social sharing buttons hona bahot important hai, isse users ko post ko share karne me asani hoti hai aur blog ka seo bhi improve hota hai. Is post me ham blogger blog par floating social sharing button kaise add karte hai uske bare me detail me janenge. Step 1 : Sabse pahle apne web browser me Blogger Deshboard open kare. Step 2 : Ab Left Side Menu me Layout par click kare. Step 3 : Ab Right Slider me Add Widget par click kare. Step 5 : Ab Content Section me niche diya gaya HTML Code add kar de. Step 6 : Ab Save button par click kare. 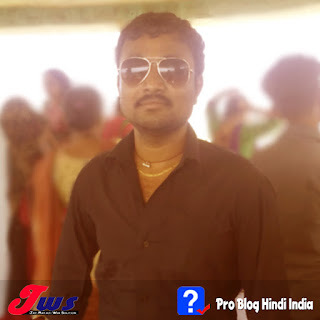 in steps ko follow karne se aapke blogger blog par social sharing button add ho jayega. jo check karne par kuch is tarah ka dikhega. Blogspot Blog Me Floating Social Sharing Button Add Kaise Kare is Blogger Tutorial in Hindi ko pura padhne ke liye aapka dhanyawad. Blogspot, Blogging aur SEO ke bare me koi bhi question ho niche comment box me puchh sakte hai.